The first flavors I taste is a salty seasoning of garlic and black pepper. There's a light touch of smoke, while the heat builds up slowly. 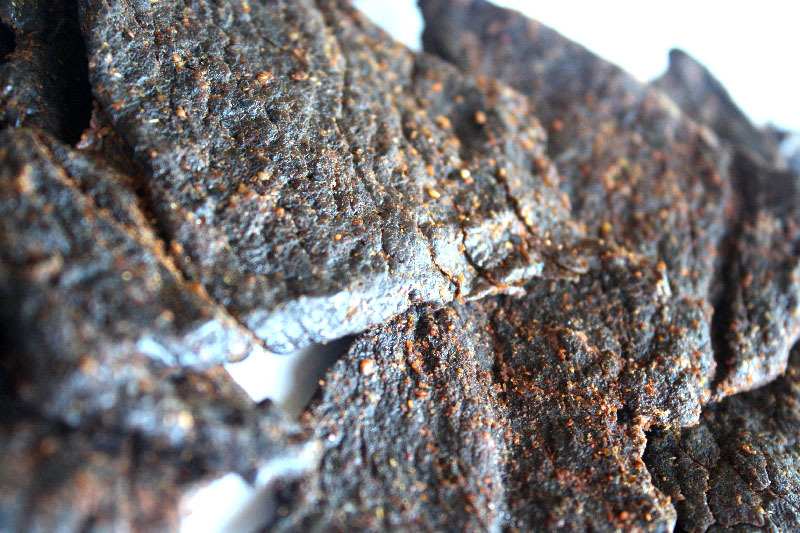 The chewing brings on the natural meat flavors, but also leads in light vinegar, and shades of chile peppers. For being marketed as, "perfectly cooked steak" and, "extreme heat", it holds up well. 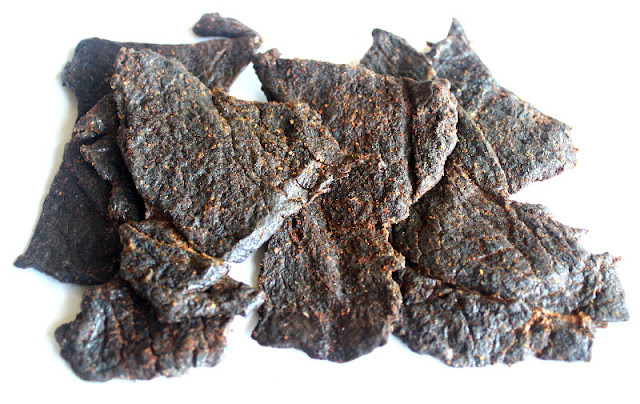 It has a seasoned, grilled steak flavor, anchored by its natural meat flavors. It's also "hot", ranking on my personal heat scale as a level 5 out of 5. It's not the intense, seething, firestorm that chile pepper aficionados seek out, but it still leaves a burn on my tongue and beads of sweat on my scalp. Otherwise, the primary taste profile is that of a salty, seasoning blend of garlic, black pepper and onion, along with a light tangy vinegar and touches of smokiness, over a grilled, steak flavor. There's some light chile pepper flavor, but enough to bring out the unique profiles of jalapeno and habanero. It's largely the heat that stems from the chile pepper ingredients. This Bad Azz Bit from Little Bit Jerky does a great job of recreating the taste of a well-seasoned, marinated steak, boosted with the strong heat of chile peppers. It doesn't give off enough jalapeno and/or habanero flavor to go along with their intense burns, nor provide any of the endorphic reward that one gets from indulging on such capiscum. 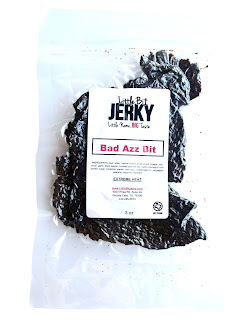 In a way, it's more of a masochistic treat for those want to snack on good jerky and punish their palates at the same time. Overall, it is still great beef chewing experience, with loads of flavor, though salty, but every bit as Texas as one might expect.